Remortel is looking for a product design intern, starting in September 2019. We are looking for someone with great sketching talent, who is skilled in CAD (Solidworks and/or Rhino) and who loves to do research and solve problems. You will be working on various projects involving consumer products and circulair design. Remortel offers you a great opportunity to learn and to get to know what it's like to work at a design agency. Off course we will pay you a internship fee. Remortel is a design and innovation firm with a focus on sustainable product design. Our goal is to design products that are environmental friendly and great to use. We focus on everyday objects. A good example of our work is “the Dopper”, a sustainable water bottle. It combines product styling with design for user experience and circular design. 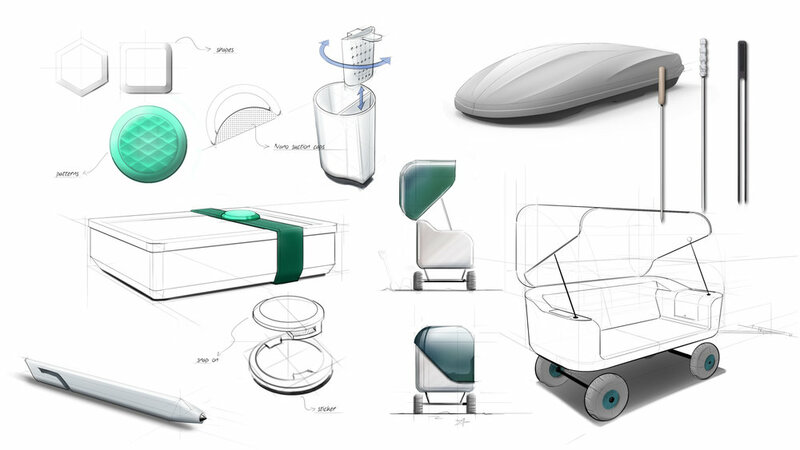 We help companies shape ideas from the first sketch to the supervision of the production. · You are in the 3rd, 4th or 5th year of your study industrial design engineering at the TUDelft, TU Eindhoven, IPO or similar.